With four teams still left on the board, you can still bet NCAA championship future odds at sportsbooks. 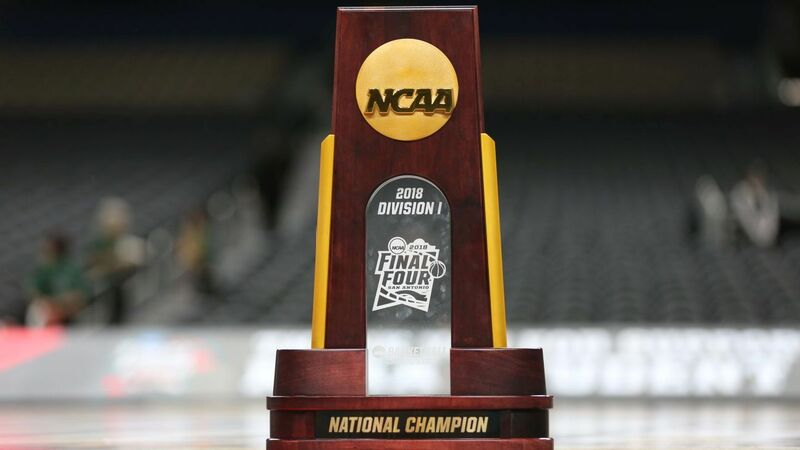 The Final Four goes later today and those games will decide who plays in the championship game. This is one of the more evenly matched up Final Fours in recent memory. Some experts have claimed the TV ratings will be stale because the games are not featuring the usual heavyweights, with the exception of possibly MSU. Personally, I think the ratings will be just fine as America tunes in to see a “fresh-face” capture the title. Sportsbooks have been abuzz all day with betting action and reports at this point in time are that the Virginia game’s OVER has been the really only consistently lopsided bet among the many sportsbooks. One interesting way to get better odds than creating a new ticket at a sportsbook is to bid on futures tickets that already exist. People who bet the team earlier in the year at much longer odds, now look to cash in by selling the ticket to the highest bidder on Prop Swap. They can get out with a healthy profit and the buyer gets better odds than he can at the sportsbook. It’s a win win. One of the more popular tickets for sale this week has been a Texas Tech championship ticket placed much earlier in the year when Texas Tech was 200-1 odds. The ticket is for $1500 and would pay out $300,000. The high bidder at one point was Texas resident and former Dallas Cowboy Dez Bryant. You would think it would have been Michael Crabtree, lol. The ticket did not fetch the $62,500 the ticket owner was hoping to get for it. So, he has decided to ride it out. That’s the spirit! Per @PropSwap, the bettor with the $1,500 ticket on Texas Tech at 200-1 is going to let it ride today. Highest bid was $57.5K (Dez Bryant bid $50K), but he was looking for at least $62.5K.